Ssebaana (L) and Paul Kawanga Ssemwogerere. KAMPALA. It has been eighty-three pages of an illustrious life journey tinged with politics and service to the country. That eighty-third page bore a single word a date and time: Died: Monday July 3, 2017; 10:30am. The husky voice that has been the trademark of John Ssebaana Kizito went silent at that time, according to Dr Joseph Okia, a specialist in critical care at Nakasero Hospital. At 83, Ssebaana had lived the life he dreamed, achieved almost everything he set his sights on but one: the national presidency. He had taken a shot at the presidency in 2006, challenging Museveni’s stronghold alongside Dr Kizza Besigye of the Forum for Democratic Change. But Ssebaana’s husky voice and political acumen wasn’t enough to garner a serious challenge to Museveni. He lost. Losing a shot at the country’s executive job is one thing and certainly wouldn’t smudge the illustrious career of the former Democratic Party president-general. He was a two-time mayor of Kampala City, served in various ministerial capacities and left a legacy of an astute businessman who owned a string of businesses in Kampala and beyond. John Ssebaana Kizito was admitted to Nakasero Hospital in critical condition, on June 21 after suffering a stroke that paralysed the right side of his body. Kampala Lord Mayor Erias Lukwago, in an interview with PML Daily, said Ssebaana has served his country with diligence, having served in various positions at both party and national levels. “He is a man who has seen it all, who has served to his best,” Lukwago said. Today, DP and the country mourns the passing on of a man who left a legacy on all fronts, from socio-economic to political setting of the country. Many will remember him for his approachable nature, some for his political ideals, and others like those from Mpande Village in Luwero, for his vast empires that changed the lives of the villagers. Ssebaana’s husky voice has forever gone silent, but they will always speak in his legacy, legacy that will always give the impression of that man who could wrinkle but never grow grey hair. Rest in Peace President Emeritus Dr.John Ssebaana Kizito. You emphatically loved Brain Power at play in the game of politics. Born in 1934 in Kalule Village in Bombo town, Luwero District, Ssebaana, like any other child, built many castles in the air. However, while the difference between Ssebaana and millions of others whose dreams do not materialise beyond imaginations, the veteran politician inculcated a life of consistence and persistence from childhood, according to DP leader and Busiro East MP Medard Sseggona’s brief tribute when news of Ssebaana’s passing on filtered in at Nakasero Hospital. "He is one of the pioneers of many KCCA activities. It's rare to find a politician of his caliber nowadays"
In an opinion published by Daily Monitor in 2008, Ssebaana wrote of his humble but politically active formative years. He said while at Budo in 1953, the British government exiled Kabaka Muteesa II. “We were greatly touched. All students of Budo from Buganda decided to boycott English or British things like watches. We threw them away, we went without shoes for the whole month, and I changed my name – Ssebaana,” he wrote. And this protest tone is symbolically damning given the closure of his life chapter. Hours before Ssebaana breathed his last, The Observer newspaper ran with a headline, “Age limit bill now gazetted.” Ssebaana was already putting up a big fight against the angels of death. If his wandering soul read this, he would either have put up one last brave fight to be back on his legs and voice to oppose the scheme to lift the president age limit from the Constitution whose design he contributed, or he would have given up altogether. The son of Ernest Muwanga Kitaka had a humble beginning. He was about six when his father died. “It is my sister who took me in. We were three in the family and I was the youngest. I had a brother and a sister, and both are dead now. So in the early years I went to my sister’s school – Bishop’s School where she taught. Later on, I went to live with my uncle. He is the one who looked after me all those years my sister was being transferred from one school to the next,” Ssebaano in the piece that talked of how his Kenyan former president Mwai Kibaki had set a good example for his life. Ssebaana attended Ndejje Junior for his primary education, Ndejje Senior Secondary School for O-Level before joining King’s College Budo for Advanced level education from where he joined Makerere University for a Bachelor of Arts (Arts). By then, he was already setting sights on living his dream by setting up a footing in business. But to gain a foothold, Ssebaana pursued a MA in Business Economics from the University of Oregon, US, graduating in 1960. By then, he was already in civil service and active in politics, serving as a national executive officer and was an active member of Uganda’s oldest political party, DP. By the late 1960, Ssebaana was already cutting his political wisdom teeth serving as a member of the East African Legislative Assembly between 1967-1977, Chairman of the National Insurance Cooperation 1977-1980 and was thereafter elected Member of Parliament for Kampala South in 1980, a vote he won by 90 percent. Ssebaana would later weather the storm that came with tumultuous era of the 1970s and became Shadow Foreign Affairs minister between 1981 and 1985. He was also acting Leader of Opposition in 1983. Under Museveni’s government, He also served as Uganda’s Minister of Cooperatives between 1985 and 1987 and Minister for Regional Cooperation between 1989 and 1991. He was elected to the City Authority in 1994 where he represented Makindye East. Ssebaana was elected Kampala Mayor twice, first in 1999 when he replaced Nasser Ntege Ssebagala who could not complete his term after being jailed in the US, and in 2001. 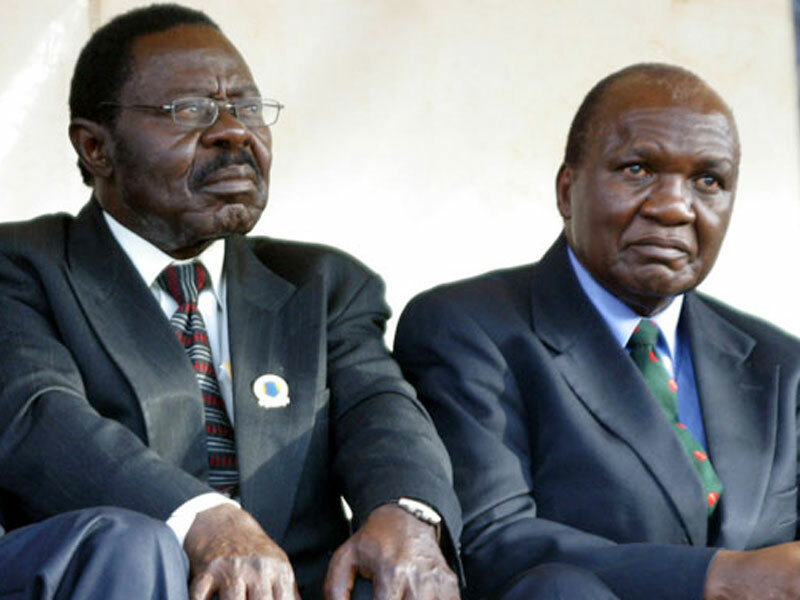 He also served as President General of Uganda’s oldest political party Democratic Party between 2005 and 2010 and stood for President of the Republic of Uganda in 2006 against incumbent Kaguta Museveni. 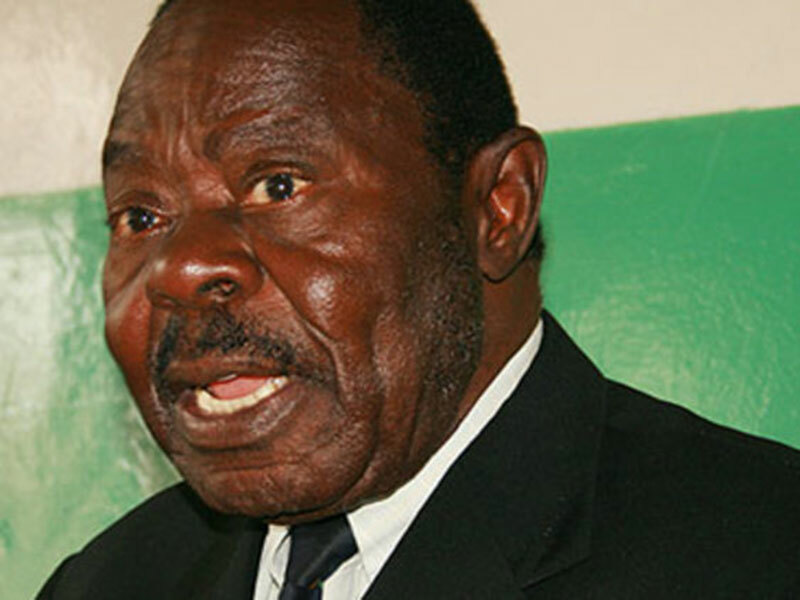 In the late 2000s, Ssebaana, who started the country’s first private insurance company (State Wide Insurance Company–SWICO) with his business associate Joseph William Kiwanuka, was considered one of the wealthiest men in Kampala. He is said to own vast interests in real estate in Kampala. Mpande Village, Nyimbwa Sub-county in Luwero District is mourning. Residents gathered at the late’s country home to await burial arrangements of the man who connected electricity to their village, the man whose vast business, including farms, provided employment to many of their children. Ssebaana was like a godfather to Mpande. Steven Nuwagira, the Uganda Young Democrats and DP chairman at Makerere University, said Ssebaana connected with people whether he knew them or not. 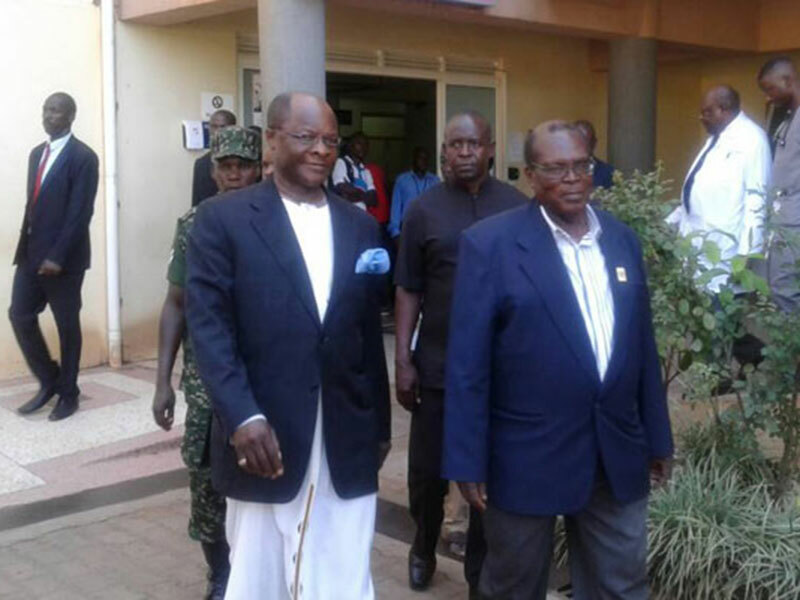 “He was very nostalgic about Makerere University and held the students in very high regard because, I think, he saw a youthful version of him in them,” Nuwagira said. The UYD leader said Ssebaana was an honest man whose commitment to ideals set an inspiration that the nation could borrow from right now. “He was so open and accessible that he made politics seem so natural and as good as breathing. It’s sad that he has passed on at a time when changes like the move to amend clauses in the Constitution needed guidance from leaders of his calibre that have seen it all,” he said.